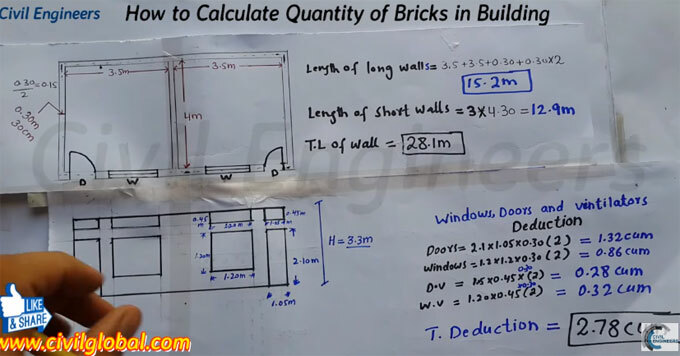 In this Video Lecture, you are able to learn Quantity of Bricks in building so this is the easy way to find out the numbers of bricks in wall. You didn't subtract the volume of mortar.why? they can concider as the replacement of wastage of bricks. 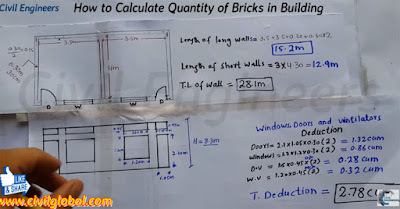 THank you.I have been thinking of how to make my estimate before meeting the contractor.